We are proud to announce that Sir Fazle Hasan Abed, Founder and Chairperson of BRAC, has been awarded the first WISE Prize for Education in recognition of his 40-year career dedicated to alleviating poverty through education. 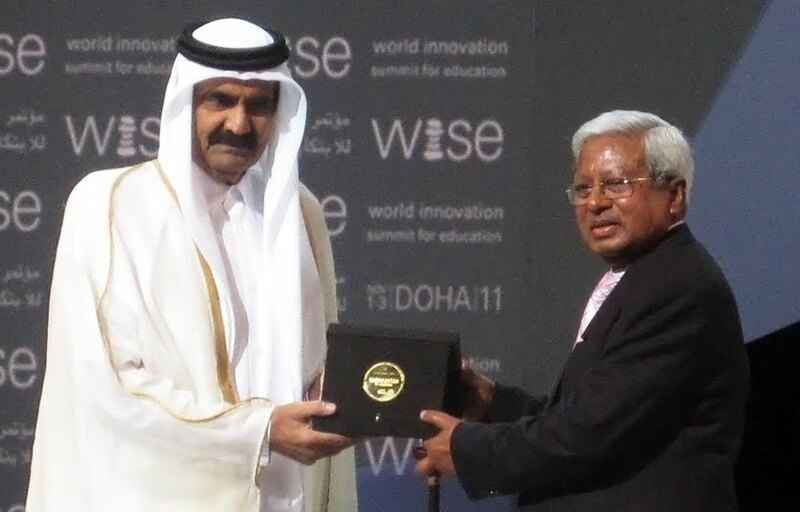 On November 1, 2011, His Highness Sheikh Hamad bin Khalifa Al-Thani, Amir of the State of Qatar presented Sir Fazle with the prize, which is the world’s first major award for education, before 1,300 delegates at the opening session of the third World Innovation Summit for Education (WISE). For this inaugural edition, following a pre-selection by a Committee, a prestigious Jury selected Sir Fazle as the inaugural Laureate. Sir Abed received an award of $500,000 (US) and a specially designed gold medal, bearing the word “education” in over 50 languages. In acceptance remarks, Fazle Hasan Abed said: “I thank the Qatar Foundation for instituting this magnificent Prize and for honouring me and BRAC with its first instalment. It is on behalf of the 120,000 BRAC staff and school teachers that I humbly accept this prize. I have discovered time and again in my four decades of work with BRAC that education is the fundamental catalyst for change. The establishment of the WISE Prize was announced at the closing of the last WISE Summit in December 2010 as a major accolade to recognize an individual or team for an outstanding, world-class contribution to education. In addition to the gold medal, the winner receives an award of $500,000 (US). Following an international call for nominations, an 11-strong international committee of educational experts made a preliminary assessment and a high-level Jury of five eminent individuals, chaired by Dr. Abdulla bin Ali Al-Thani, took the final decision. Under Sir Fazle’s visionary leadership, BRAC has grown to become the largest provider of private, secular education in the world, contributing to the pre-primary, primary and secondary education of more than 10 million students. 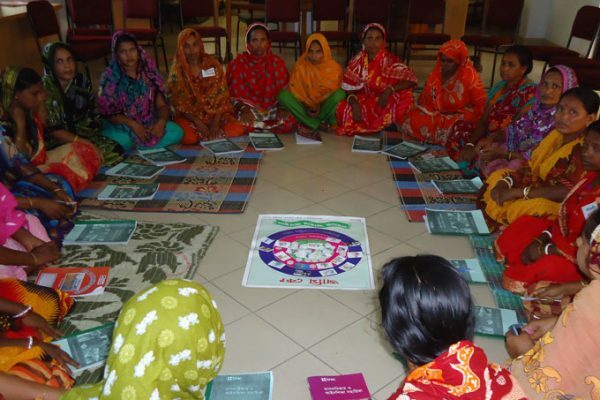 Click here to find out more about BRAC’s groundbreaking interventions in education. Photo caption: His Highness Sheikh Hamad bin Khalifa Al-Thani, Amir of the State of Qatar, presenting BRAC Chairperson Sir Fazle with the inaugural WISE Prize in Education at the opening session of the third World Innovation Summit for Education (WISE) in Doha, Qatar on 1 November 2011. 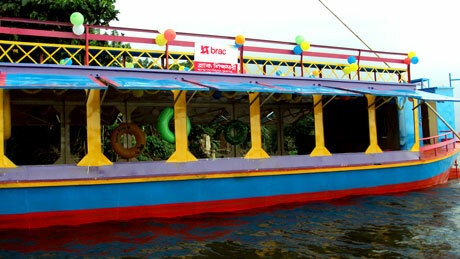 Click here to read the BRAC Blog.